Developed by a Medical Working Group of the Child Endangerment Subcommittee of the Precursor Committee of the High Intensity Drug Traffic Area (HIDTA) Planning effort for Nebraska. Please direct questions or comments about this protocol to Gregg Wright, M.D., M.Ed. 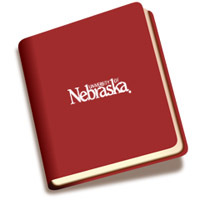 at UNL Center on Children, Families, and the Law, 121 South 13th Street, Suite 302, Lincoln, NE 68588-0227 or gwright1@unl.edu or by phone at 402-472-8881.